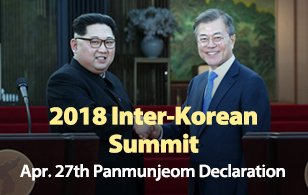 South Korea’s parliamentary speaker and his two deputies have decided not to join President Moon Jae-in on his trip to Pyongyang next week for the inter-Korean summit. A parliamentary official told Yonhap News on Monday that National Assembly Speaker Moon Hee-sang met on Monday with Vice Speakers Lee Ju-young of the main opposition Liberty Korea Party(LKP) and Joo Seung-yong from the main opposition Bareunmirae Party to make the decision. 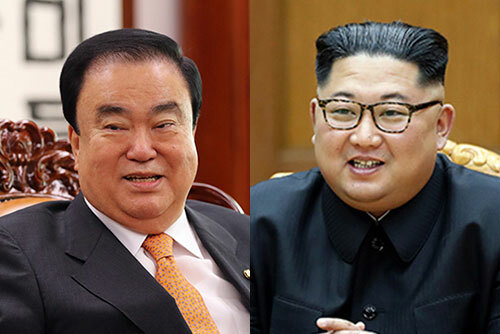 The official said the three judged it's better for them to focus on this month's parliamentary session and agreed on the need for bipartisan cooperation in case talks are pursued between the parliaments of the two Koreas. The official added the head of the National Assembly’s foreign affairs and unification committee will also not accompany the president. Speaking to Yonhap News Agency by phone, Joo argued the presidential office did not seek cooperation from the assembly in advance, adding its “unilateral announcement” was intentionally meant to cause conflict given the LKP's opposition. Lee cited lack of progress on the North’s denuclearization as well as a lack of trust between the government and the National Assembly as the reason not to join the president. He also said it's not proper for the heads of the legislative branch to accompany the president to a summit with other country's leader.